A look back at one of the messiest awards seasons in Oscar history. A look back at some of our favorite conversations from the past year, with both stars and filmmakers. Our contributors share some of their favorite movies of 2018. Tomris Laffly's picks for the best of 2018. 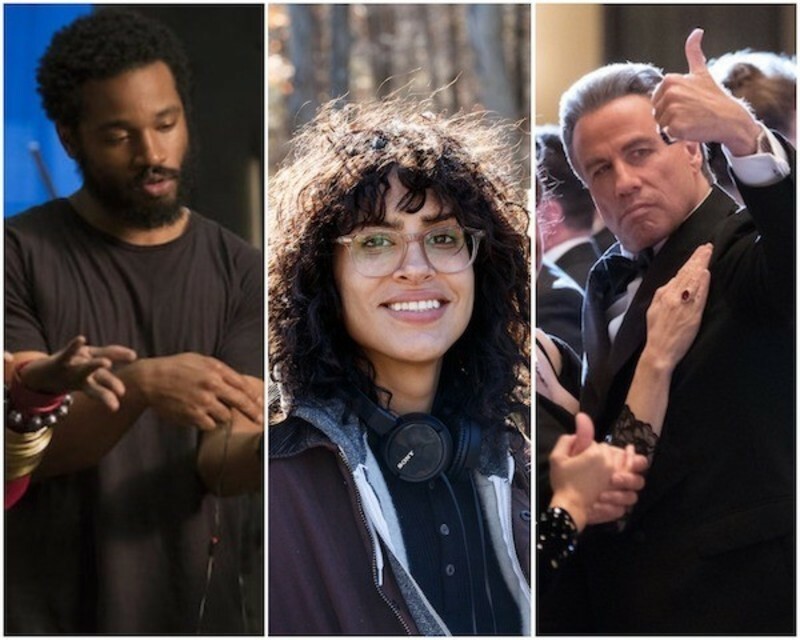 The best films of 2018, as chosen by Brian Tallerico. The nominees for this year's Chicago Film Critics Association awards. A look at an e-book of interviews and critical writing on one of the best films of 2018. Matt writes: The 20th anniversary of Ebertfest will kick off tomorrow, April 18th, and run through Sunday, April 22nd, at the Virginia Theatre in Champaign, Illinois. Andrew Davis' classic edge-of-your-seat thriller, "The Fugitive," will open the festival, which features other beloved titles including "American Splendor" and "The Big Lebowski," as well as such trailblazing filmmakers as Ava DuVernay, Julie Dash, Amma Asante, Martha Coolidge and many more. An interview with the director of You Were Never Really Here. On the best films of the 2018 Sundance Film Festival. A review of the newest from Lynne Ramsay. A countdown of our most anticipated films coming this winter. Matt writes: The 2017 Cannes Film Festival just came to a close on May 28th, and you can find our complete coverage of the highlights, lowlights and everything in between at RogerEbert.com. Our full roundup of written dispatches from Barbara Scharres and Ben Kenigsberg, as well our video reports from Chaz Ebert, can be located on our Cannes 2017 Table of Contents. You will find our thoughts on the latest work of filmmakers such as Noah Baumbach, Sofia Coppola, Michael Haneke, Michel Hazanavicius, Todd Haynes, Bong Joon-ho, Yorgos Lanthimos and Lynne Ramsay, as well as our coverage of the Netflix controversy that engulfed the Croisette. On the latest from Lynne Ramsay and Fatih Akin. Matt writes: The 2017 Cannes Film Festival is nearly here! It will run from May 17th through the 28th, and RogerEbert.com will be providing in-depth coverage every step of the way, including our annual video reports from publisher Chaz Ebert. This year's selections include the latest work from such acclaimed filmmakers as Noah Baumbach, Sofia Coppola, Michael Haneke, Michel Hazanavicius, Todd Haynes, Bong Joon Ho, Yorgos Lanthimos and Lynne Ramsay. Dear Hollywood: Hiring women directors could rescue the superhero movie. Love, half the human race. Susan Wloszczyna wonders if women at the helm might be just the thing to revitalize the foundering, repetitive comic-book movie genre. Ben Kenigsberg makes his predictions for Sunday night's Cannes awards. Power is rarely discussed at Cannes, and it’s ostensibly all about art, although careers can hang on critics’ approval, and whether films are sold here, and to how many regions of the world. The annual jury press conference on the opening day is the first and foremost love-fest in which the concept of competition is downplayed and jurors find novel ways to sidestep the question of comparing one film to another in order to award the Palme d’Or in ten days.